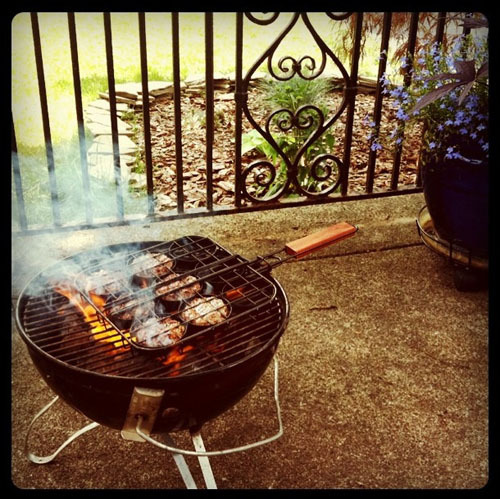 Another favorite of summer - grilling out. I had a lot of charcoal leftover from the beach trip so I am using it up on our mini Weber. Gas is fast and easy but nothing tastes like charcoal. 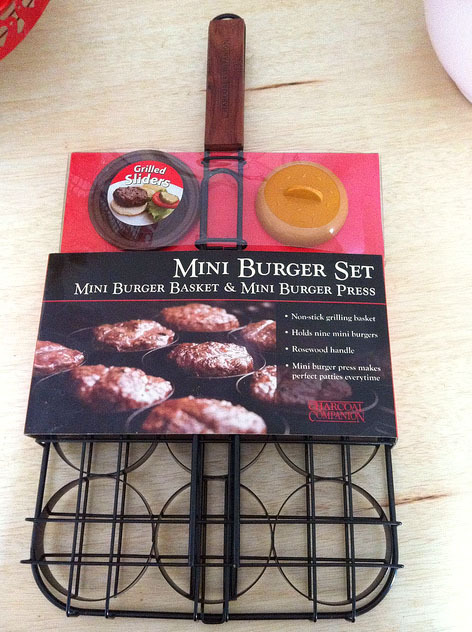 I was pretty excited to use my mini slider set that Aaron get me last summer.Why do mini burgers taste so much better than full grown ones. I think it's a lot easier to cook sliders evenly on the grill than full size burgers. We are addicted to the Wegman's sliders.